Jesus was not a big fan of law, ritual and regulations riding rough shod over other human beings. Jesus did not like the idea of the law of God being used to repress and harm other human beings in the name of the LAW. Human beings have again and again used God’s teachings to suppress others to gain control over others etc. etc. There are several different questions going on during this period. However, it must be quickly said that those following Jesus were either always looking for fault or those looking for enlightenment. The fault finders of course jumped all over the followers of Jesus for taking and eating grain out of the field. That alone convinced the Pharisees that Jesus whole movement was suspect and beyond the pale. But for others it was an opportunity to revisit our understanding of God. When it comes to understanding anything, we start with love. This morning when we look at the sabbath, at Sunday worship or anything else we start with love. N T Wright points out that there is a modern-day equivalent of what Jesus had to deal with. The Pharisees where a combination of the KGB and Gestapo in Jesus’ time. They were looking for any infraction of the LAW. N T Wright goes on to explain that the Pharisees were a self-appointed group of people, a political party who saw themselves as guardians of public morality. They were not an official secret police, but instead were like a nosey journalist that is sure they and they alone can guard the public spiritual discourse. So along comes Jesus and his followers who were already suspicious, so they were followed into the corn field. Jesus was like a modern-day politician who announces interest in seeking public office. (N T Wright, Mark for Everyone [Louisville, 2004] p26-7) As soon as the announcement is made the Journalist, bloggers and all social media begins to investigate to find any mud that might stick. Suddenly there is a photo of something shady on Facebook and then the whole crowd is in full throated pursuit. The final answer to all these questions is a bit of a coded claim. Basically, the Messiah is coming, i.e. the New Light, the New Reforms are on the way and that everything and anything to do with the Sabbath will be revisited in a new light. There are two main themes not to be missed in this week’s sermon. The first is that Jesus did not dismiss the whole idea of the Sabbath but improved it and built up the whole idea of rest, renewal and being taken over by the holiness of God. The second idea is that Jesus’ had a revolutionary and very happy understanding of God. Jesus looking through the lens of love understood better the idea of the law, the sabbath and our relationship to God. I’m not a big fan of Church doctrines and dogma. It can be any religion. Doesn’t matter. I think most doctrines and dogma are silly, misguided, sometimes just plain bad. They were invented mainly to keep members in line with the hierarchy of the institution. The softer reason for them is “unity”. The harder one, “control”. I’ve been thinking about Jesus of Nazareth (the Jewish version, not the Christian one) and Scripture a lot lately. All those times that Jesus set aside the Torah and opted to respond to human need. There seems to have been a pattern within Jesus’ thoughts and actions when it came to following the Law or giving his love and compassion to human beings. The pattern is that love and compassion always won out. In the third chapter of Mark and the sixth chapter of Luke, Jesus was quoted as having said... “The law was made for man, not man for the law, the Sabbath was made for man, not man for the Sabbath”. There is sometimes a tendency to view Scripture as infallible, inerrant because supposedly it is the “Word of God”, rather than the human interpretation or experience of God’s wisdom (my preference). When this happens, the danger is that we may be tempted to view Scripture as God and ultimate Truth, rather than something pointing to God and ultimate Truth. In other words, we start to worship, idolize Scripture... and that is precisely what Jesus was critical of. That is what I view as dangerous within Christianity. 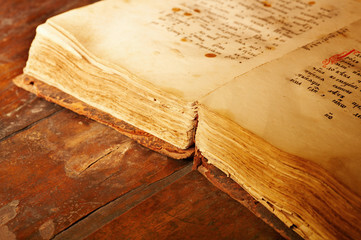 One can twist Scripture to support any thought process, any speech, or any action in which one might choose to engage. Some are obviously twisted and un-Jesus-like. My litmus test is always simply, “What would Jesus say and do?” ... based on what we know of Jesus’ personality and teachings. I’ve always believed the best indicator of this is his Sermon on the Mount, specifically his eight Beatitudes. The story is an addition and expansion of the account of the Biblical Magi, recounted in the Gospel of Matthew in the New Testament. It tells about a "fourth" wise man (accepting the tradition that the Magi numbered three), a priest of the Magi named Artaban, one of the Medes from Persia. Like the other Magi, he sees signs in the heavens proclaiming that a King had been born among the Jews. Like them, he sets out to see the newborn ruler, carrying treasures to give as gifts to the child - a sapphire, a ruby, and a "pearl of great price". However, he stops along the way to help a dying man, which makes him late to meet with the caravan of the other three wise men. Because he missed the caravan, and he can't cross the desert with only a horse, he is forced to sell one of his treasures to buy the camels and supplies necessary for the trip. He then commences his journey but arrives in Bethlehem too late to see the child, whose parents have fled to Egypt. He saves the life of a child at the price of another of his treasures. He then travels to Egypt and to many other countries, searching for Jesus for many years and performing acts of charity along the way. After 33 years, Artaban is still a pilgrim, and a seeker after light. Artaban arrives in Jerusalem just in time for the crucifixion of Jesus. He spends his last treasure, the pearl, to ransom a young woman from being sold into slavery. He is then struck in the head by a falling roof tile and is about to die, having failed in his quest to find Jesus, but having done much good through charitable works. A voice tells him "Verily I say unto thee, Inasmuch as thou hast done it unto one of the least of these my brethren, thou hast done it unto me. "(Matthew 25:40) He dies in a calm radiance of wonder and joy. His treasures were accepted, and the Other Wise Man found his King. All eyes were on Prince Harry and Meghan Markle on their wedding day Saturday, except for the nearly 14 minutes when the Most Rev. Michael Bruce Curry made history with a soul-stirring sermon at St. George's Chapel that is still generating buzz. "It’s been remarkable and very surprising," Curry said today on "Good Morning America" of the reaction to his sermon. The New York-based Curry, who’s the first black leader of the Episcopal Church in the United States, made history again as the first American to preach at a British royal wedding. Curry said he was "very aware" of the gravitas of the moment. In addition to Curry's history-making moment, Meghan, now the Duchess of Sussex, also broke ground as an American and biracial daughter of an African-American mother and white father marrying into Britain's royal family. "The reality is ... the love between those two people, between that loyal couple, was so powerful, not only did we all show up, but it brought all these different worlds together," Curry said. "It brought different nationalities, different ethnicities, different religious traditions, people of all stripes and types, people of different political persuasions. "Actually, for a moment, we were actually together, organized around love," he continued. "Their love was a sign of God’s love and what that love can do in our lives. It brought together our African heritage, our British heritage, our American heritage." Harry, 33, and Meghan, 36, now known as the Duke and Duchess of Sussex, wed Saturday at St. George's Chapel in front of about 600 guests and a worldwide audience of millions. Curry said it was Meghan and Harry's decision, in consultation with leaders of the Church of England, to include him in the wedding. "I didn’t believe it because a member of my staff called and said, ‘They’d like you to preach at the royal wedding,'" Curry recalled. "I said, ‘Get out of here; it’s April Fools. You’ve got to be kidding me.’"
Meghan and Harry's love for each other was "obvious" and could be seen on their faces, according to Curry. "That love was a reflection of a greater love and that greater love is the love of God," he said. "I think that’s what Jesus has been talking about. That’s what he was trying to teach us. Love God love your neighbor and you’ll be able to figure out the rest." Curry spoke in his royal wedding address about the power of love and at one point quoted U.S. civil rights icon Dr. Martin Luther King Jr.
"We must discover the power of love, the redemptive power of love. And when we do that, we will make of this old world a new world," the bishop said Saturday. "Love is the only way. There's power in love. Don't underestimate it. Don't even over-sentimentalize it. There's power, power in love." King's daughter, Bernice King, immediately recognized her late father's words and tweeted, "#MLK quote at the #RoyalWedding. Your life, teachings and words still matter so much, Daddy. Congrats, Harry and Meghan!" Church officials and Harry and Meghan were aware of the "basic outline" of his sermon ahead of time, according to Curry. He said he was able to speak to the couple "very briefly" after the wedding service, describing them as "kind and gracious." There’s power in love. Don't underestimate it. Don't even over-sentimentalize it. There's power, power in love. If you don't believe me, think about a time when you first fell in love. The whole world seemed to center around you and your beloved. Well there's power, power in love. Not just in its romantic forms, but any form, any shape of love. There's a certain sense in which, when you are loved, and you know it, when someone cares for you and you know it, when you love and you show it, it actually feels right. There's something right about it, and there's a reason for it. The reason has to do with the source. We were made by a power of love, and our lives were meant and are meant to be lived in that love. That's why we are here. Ultimately, the source of love is God himself. The source of all our life. There’s power in love. There's power in love to help and heal when nothing else can. There's power in love to lift and liberate when nothing else will. There's power in love to show us the way to live. Set me as a seal on your heart, a seal on your arm, for love is as strong as death. But love is not only about a young couple. Now the power of love is demonstrated by the fact that we're all here. Two young people fell in love and we all showed up. But it's not just for and about a young couple for whom we rejoice with. It's more than that. Someone once said that Jesus began the most revolutionary movement in all of human history. A movement grounded in the unconditional love of God for the world, and a movement mandating people to live that love. And in so doing, to change not only their lives but the very life of the world itself. I'm talking about some power. Real power. Power to change the world. This way of love, it is the way of life. They got it. He died to save us all. He didn't die for anything he could get out of it. Jesus did not get an honorary doctorate for dying. He wasn't getting anything out of it. He gave up his life, he sacrificed his life for the good of others, for the good of the other, for the well-being of the world for us. That's what love is. Love is not selfish and self-centered. Love can be sacrificial and, in so doing, becomes redemptive. And that way of unselfish, sacrificial, redemptive love changes lives, and it can change this world. If you don't believe me, just stop and think or imagine. Think and imagine. Well, think and imagine a world where love is the way. Imagine our homes and families when love is the way. Imagine neighborhoods and communities where love is the way. Imagine governments and nations where love is the way. Imagine business and commerce when love is the way. Imagine this tired, old world when love is the way. When love is the way -- unselfish, sacrificial, redemptive -- when love is the way, then no child will go to bed hungry in this world ever again. When love is the way, we will let justice roll down like a mighty stream and righteousness like an ever-flowing brook. When love is the way, poverty will become history. When love is the way, the earth will be a sanctuary. When love is the way, we will lay down our swords and shields down by the riverside to study war no more. When love is the way, there's plenty good room, plenty good room for all of God's children. Because when love is the way, we actually treat each other, well, like we are actually family. When love is the way, we know that God is the source of us all, and we are brothers and sisters, children of God. Brothers and sisters; that's a new heaven, a new earth, a new world, a new human family. And let me tell you something, ole Solomon was right in the Old Testament; that's fire. Teilhard de Chardin -- and with this, I will sit down. We got to get you all married. French Jesuit Teilhard de Chardin was arguably one of the great minds, great spirits of the 20th century. A Jesuit, Roman Catholic priest, scientist, a scholar, a mystic. In some of his writings, he said, from his scientific background as well as his theological one -- in some of his writings, he said, as others have, that the discovery or invention or harnessing of fire was one of the great scientific and technological discoveries in all of human history. Fire, to a great extent, made human civilization possible. Fire made it possible to cook food and to provide sanitary ways of eating, which reduced the spread of disease in its time. Fire made it possible to heat warm environments, and thereby made human migration around the world a possibility, even into colder climates. Fire made it possible. There was no Bronze Age without fire, no Iron Age without fire, no Industrial Revolution without fire. The advances of science and technology are greatly dependent on the human ability and capacity to take fire and use it for human good. Sabbatarianism, doctrine of those Christians who believe that the Sabbath (usually on Sundays) should be observed in accordance with the Fourth Commandment, which forbids work on the Sabbath because it is a holy day (see Ten Commandments). Some other Christians have contended that the Fourth (or Third in some systems) Commandment was a part of the Hebrew ceremonial, not moral, law. They believe that this law was entirely abolished by Jesus, whose Resurrection on the first day of the week established a new kind of day, characterized by worship rather than absence of work. In Christianity there are many shades of opinion between these two views. Legislation concerning what may or may not be done on Sunday is as old as the time of the Roman emperor Constantine I, who decreed regulations against Sunday labor in 321. In its strictest form, however, Sabbatarianism was the creation of the Scottish and English Reformers, especially John Knox. The Scottish Presbyterians and the Puritans took their views to the American colonies, where rigorous “blue laws” were enacted. Although reduced in number and effect, Sunday observance laws are still promoted in various European countries and in the United States. State or local laws, primarily in the South, bar certain business activities and sporting events on Sunday—increasingly, however, only before noon. Those Christians who believe that the weekly holy day should still be observed on the Hebrew Sabbath, or Saturday, rather than on Sunday, are also called Sabbatarians. There was a Sabbatarian movement in the 16th century, and the Seventh-day Adventist church upholds the continuing validity of the Saturday Sabbath for Christians. Strict sabbath observance or Sabbatarianism became a class-based source of conflict during the reign of Victoria, since to many, like the cartoonists of Punch, laws enforcing it seemed to apply only to the working classes who could not evade its restrictions by access to private men's clubs or homes with overworked servants. According to the Oxford English Dictionary, the word Sabbatarian, which was used in English at least as early as 1619, has three basic meanings: (1) Jewish observance of Saturday as a day or rest and prayer (its original meaning); (2) “A member of a Christian sect founded towards the close of the sixteenth century, the members of which maintained that the Sabbath should be observed on the seventh and not on the first day of the week; a Seventh-day Baptist.” (3) “A Christian who regards the Lord's Day as a Sabbath, deducing its obligation from the Fourth Commandment. Also, and more commonly, one whose opinion and practice about Sunday observance are unusually strict.” [emphasis added]. 7.	as a day of anticipation, looking forward to that holy, happy, and eternal Sabbath which remains for the people of God. Thus, the sabbath turns out to be, among many other things, a divinely created type of that eternal Sabbath — the afterlife in Heaven. it is, however, awfully violated by visiting, feasting, indolence, buying and selling, working, worldly amusements, and travelling. "Look into the streets," says bishop Porteus, "on the Lord's day, and see whether they convey the idea of a day of rest. Do not our servants and our cattle seem to be almost as fully occupied on that day as on any other? As if this were not a sufficient infringement of their rights, we contrive, by needless entertainments at home and needless journeys abroad, which are often by choice and inclination reserved for this very day, to take up all the little remaining part of their leisure time. Although M'Clintock and Strong place emphasis on the way ignoring Sabbath observance by the wealthy violates the rights of both servants and animals, those who attempted to legislate on it mid-Victorian England ignored such matters, producing obviously class-based oppression — something the satirical magazine Punch quickly observed. In Hypocrisy denouncing music and Sunday Finery? a dissenting minister (identified by clothing) fulminates against violating Sabbath observance while in the background appears a carriage with driver and footmen that boasts the heraldic arms of its noble occupants. The class-based nature of attempts to enforce Sabbath observance appears much more clearly in a cartoon published a week later: Sunday Music as Cant would have it. A series of satirical cartoons identify the Archbishop of Canterbury solely as “Cant.” Here we see him (identified by his ecclesiastical robes and Oxbridge graduate's hat) beating a beer cask accompanied by an evangelical with a tract in his pocket and a red-nosed puritan with a liquor bottle in his. Finally, we see the obsequious Archbishop hat in hand with Queen Victoria, who unhappily tells him, “Well, My Lord — Then I suppose my Sunday band must be given up, too” Cant. responds, “Oh de-ar no, Your Majesty! That's quite a different thing!” As Punch saw it, the Church and its usual enemies, the Evangelicals, had banded together to violate the Sabbath and the rights of the working class. As Philip V. Allingham has pointed out in his comments on a series of three Punch cartoons that appeared in July 1855, the magazine had earlier mocked “Lord Grosvenor's Revenge,” a parliamentary bill intended to prohibit the sale of beer on Sundays. “It gave rise to large meetings in Hyde Park and elsewhere, followed by riots. The Bill was subsequently repealed. “ Punch did its part to fan the flames. The position now dominant in Western Christianity is that observance of the Lord's Day, Sunday, supplanted or superseded the Sabbath commandment in that the former "celebrated the Christian community's deliverance from captivity to sin, Satan, and worldly passions, made possible by the resurrection on the first day of the week." Early Christians observed the seventh day with prayer and rest, but they also gathered on the first day. By the 4th century, Christians were officially observing the first day, Sunday, as their day of rest, not the seventh. Beginning about the 17th century, a few groups of Restorationist Christians took issue with some of the practice of the churches around them, sometimes also questioning the theology that had been so widely accepted throughout 16 centuries. Mostly Seventh-day Sabbatarians, they broke away from their former churches to form communities that followed Seventh-day Sabbath-based practices that differed from the rest of Christianity, often also adopting a more literal interpretation of law, either Christian or Mosaic. Early Christians continued to pray and rest on the seventh day. By the 2nd century AD some Christians also observed Sunday, the day of the week on which Jesus had risen from the dead and on which the Holy Spirit had come to the apostles. Paul and the Christians of Troas, for example, gathered on Sunday "to break bread," Soon Christians were observing only Sunday and not the Sabbath. Patristic writings attest that by the second century, it had become commonplace to celebrate the Eucharist in a corporate day of worship on the first day. A Church Father, Eusebius, stated that for Christians, "the sabbath had been transferred to Sunday". In his noteworthy book From Sabbath to Sunday, Adventist theologian Samuele Bacchiocchi contended that the transition from the Saturday Sabbath to Sunday in the early Christian church was due to pagan and political factors, and the decline of standards for the Sabbath day. Many Christian theologians believe that Sabbath observance is not binding for Christians today, citing for instance Col. 2:16-17. Some Christian non-Sabbatarians advocate physical Sabbath rest on any chosen day of the week, and some advocate Sabbath as a symbolic metaphor for rest in Christ; the concept of "Lord's Day" is usually treated as synonymous with "Sabbath". This non-Sabbatarian interpretation usually states that Jesus's obedience and the New Covenant fulfilled the laws of Sabbath, the Ten Commandments, and the Law of Moses, which are thus considered not to be binding moral laws, and sometimes considered abolished or abrogated. While Sunday is often observed as the day of Christian assembly and worship, in accordance with church tradition, Sabbath commandments are dissociated from this practice. Leader: Be happy and shout to God who makes us strong! Shout praises to the God of Jacob. People: Sing as you play tambourines and the lovely sounding stringed instruments. Leader: Sound the trumpets and start the New Moon Festival. We must also celebrate when the moon is full. People: This is the law in Israel, and it was given to us by the God of Jacob. Leader: When you were in trouble, I rescued you, and from the thunderclouds, I answered your prayers. We confess Dear God, that we do not spend enough time in Your loving presence. We freely confess that we often need to find You in our day to day lives but tend to confine You, Dear Loving God to Sunday Morning. We come this morning asking You to help us find spiritual rest for each of us during each day. We ask You to help us gather others to help each of us to find Your promised love and rest on this Sunday and every Sunday. Help us be free of the shackles of the past that demand observances without joy. Help us to be free to find Your wonderful restful and loving presence this morning and every morning. We pray for this in the name of Jesus, the Son of Man, who first showed us Your love. Amen. Dear God, we come in celebration as we rest, worship and express our joy in these moments. We ask that these gifts carry on these holy and wonderful sentiments through each day of the week. We pray in Jesus name. Amen. We come to thank You Dear God for the rest and renewal we find each Sunday, each Sabbath. Help us to find renewal and not controversy on this day we celebrate the resurrection of Your Son. Help us find rest and spiritual renewal on this day and again and again throughout the week. O God, as we catch our breath and sit quietly help us to escape the constant ever growing need to do more and more. Help us to find joy in relaxation and fulfillment in Your presence. We pray for this together each and every moment in celebration of Your love for us. We pray in the name of the author of the New Covenant between God and his world. Amen.